The app also makes it easier to make changes to the account, including using Apple Business Chat to make requests, such as a change of address. As with other credit cards, Apple is offering rewards for using Apple Card, called Daily Cash. 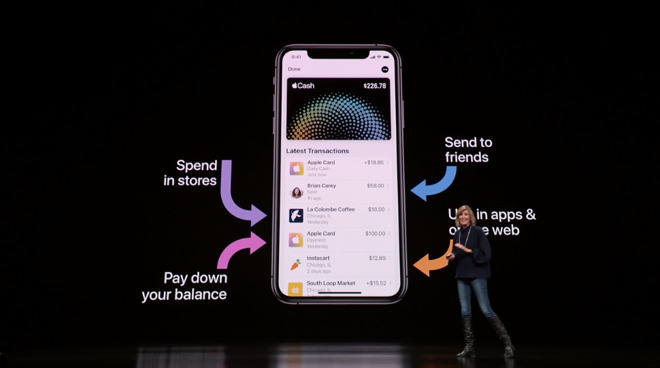 Any time the card is used, two percent of the total is added to the Apple Cash card that day, allowing it to be used for payments or to even pay down the balance of Apple Card. For Apple's own services, the percentage of Daily Cash is increased to 3 percent, and with no limit to the amount a user can earn in a day. Customers are given the ability to select how much they pay back on their spending each month, with the app advising of how much the interest will be. 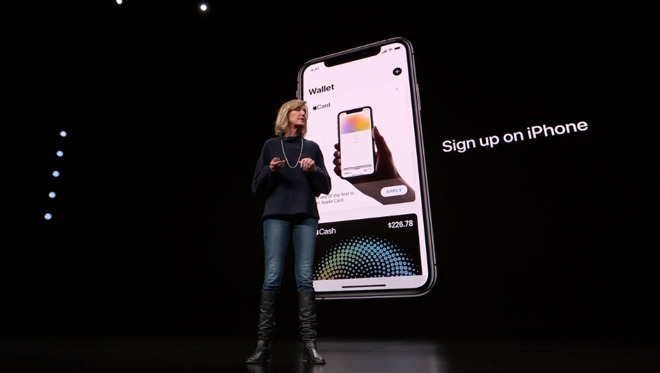 There are also different options for payment schedules, even down to a weekly basis, with Apple Card also suggesting users pay a bit more each month to reduce the amount of interest they will pay. 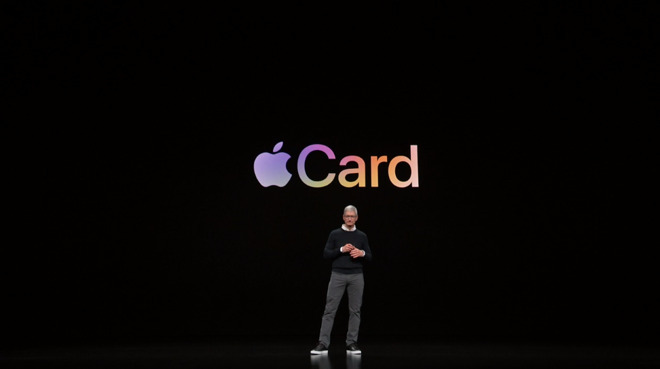 In a further bid to make Apple Card more user friendly, there will not be any late, annual, international, or overlimit fees. Apple also pledges to offer lower interest rates, and no penalty interest for when users go over their limit. As with Apple Pay, Apple Card will be making the transactions as secure as possible, with each payment tokenized to protect a user's card details. Every purchase will also be authorized with Face ID or Touch ID. In an extension of Apple's existing privacy policies, partner Goldman Sachs will not be selling any Apple Card user data, so it will not be used by marketers or for data mining purposes by third-party entities. 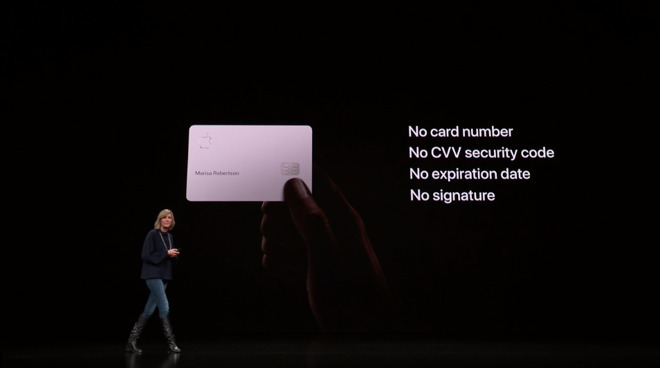 Apple Card will not be limited to being a digital-only card, as a physical titanium version will be available to use at outlets where Apple Pay is not accepted. The card won't have details like a card number, CVV code, expiration date, or signature, but the data will be available to users from within the Wallet app. Daily Cash bonuses will be limited to 1 percent of a transaction for the physical card. Apple will be making Apple Card available to qualified customers in the United States this summer. Apple Card is not the only announcement Apple made relating to Apple Pay. It was announced the payment platform had already handled 10 billion transactions in 2019 so far, and has grown to being accepted by 70 percent of merchants in the United States, and in 40 countries. Apple Pay's Transit feature, which allows customers to use metropolitan underground systems and other transport methods in a number of cities around the world, is also being expanded with support in Portland, New York City, and Chicago.